So summer is over and you're done with beer fests, right? That's a hard nein. 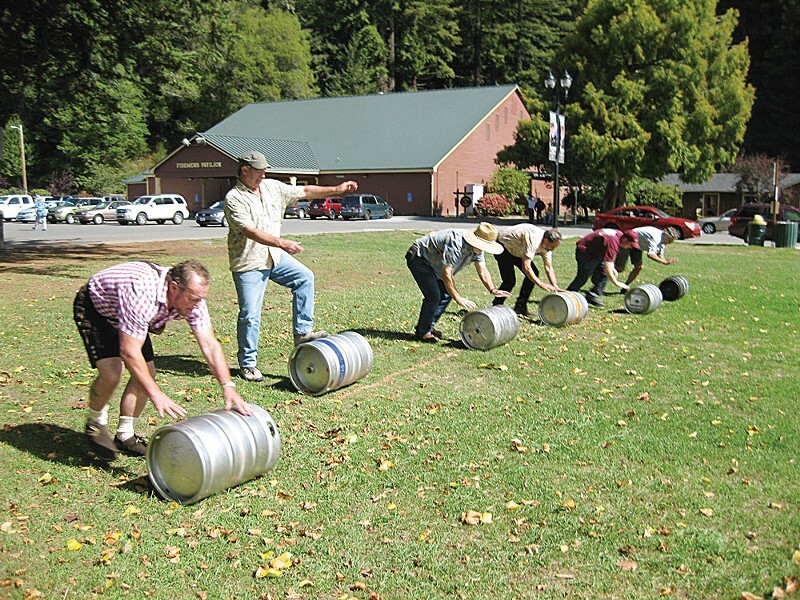 Because on Saturday, Sept. 24 from 11 a.m.to 3 p.m., the green expanse of Rohner Park may as well be the Black Forest for all the Teutonic partying that'll be going on during the fourth annual Oktoberfest (free) benefiting the Fortuna Senior Center. Oh, ja. Feast on a traditional German meal of brats (the sausages, not Hansel and Gretel), German potatoes and cabbage ($20, $15 advance, kids' meals available). As for beer, your stein runneth over with both German and local brews from which to choose. Come to think of it, can you run with your mug in hand? (Talent comes in all forms and we're not asking how you got good at it.) If so, there's a stein race and barrel races in which entrants use their Wagnerian might to roll kegs. And what better way to celebrate the birthplace of Angela Merkel and leather shorts than with an open-air "oompah" concert from the tuba-tastic Scotia Band and the Humboldt Accordionaires. In case you've somehow hobbled through life without learning to polka, now is your chance. It could be the next swing dancing, you never know.